The American Small Business & Family Insurance Specialists, LLC is headquartered in Dothan, Alabama serving small businesses and families across the State of Alabama. 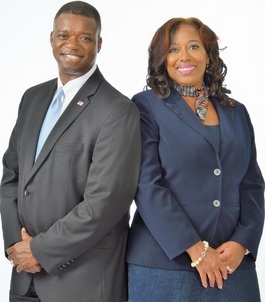 Our founders, Daniel Webster Jr., JD and Leona J. Graham, MD are wholeheartedly committed to building strong and healthy communities through public and private endeavors. ASBFIS is a premier insurance provider dedicated exclusively to serving entrepreneurs and their families. Our goal at ASBFIS is to earn a reputation for providing expert knowledge and world-class customer service. We believe earning the trust of our clients is paramount and can only be earned through honesty, integrity and offering value. Thanks for taking the time to learn about our agency. Please feel free to contact us for more information or to arrange a visit. "Protecting Businesses & Serving Families"